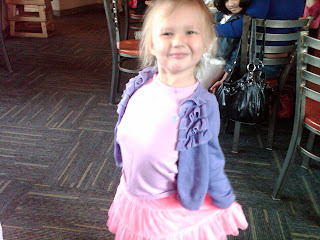 Baum Squad: The Baum Family Blog: Presents Galore! Part Deux. Have I mentioned how loving, supportive, caring, and downright wonderful our friends and family are?! Baby Geronimina is already so loved - I have said it before, and will say it again - it absolutely overwhelms me. I can't wait for her to meet all of you. We have been showered with gifts ever since we found out we were expecting - we honestly have the greatest friends and family ever. Since I am still sick (and therefore exhausted), I am going to do a (mostly) picture post to show you what we've gotten since the last "presents update!" 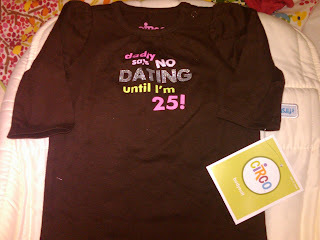 "daddy says NO DATING until i'm 25!" 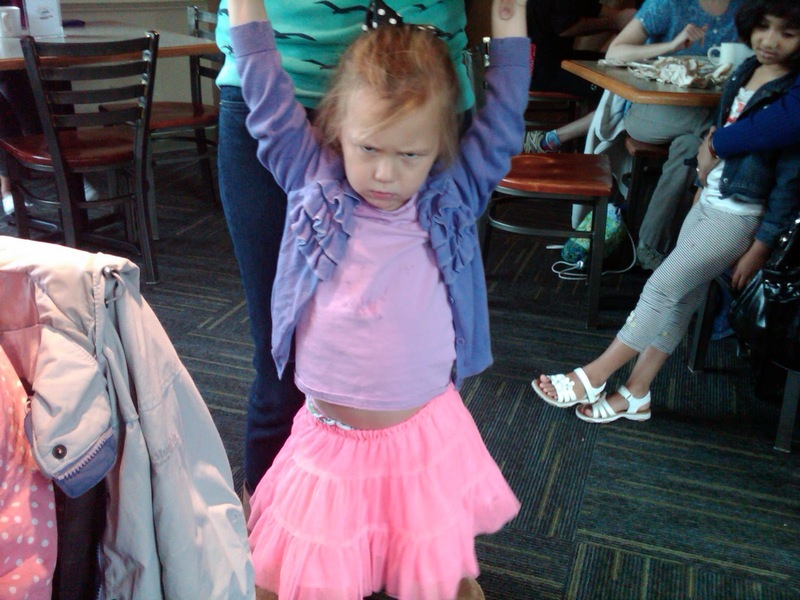 Cutest ever, right? 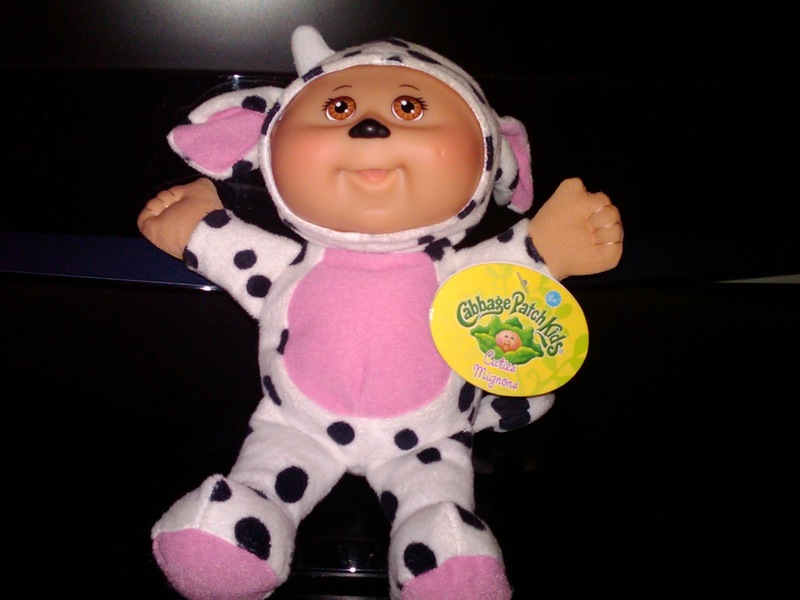 I had a cabbage patch doll, Dottie, growing up and wouldn't go anywhere without her - isn't the cow adorable? And the onesie is hilarious - and so fitting. MY WORD the cuteness. Can't be contained! Thanks guys! 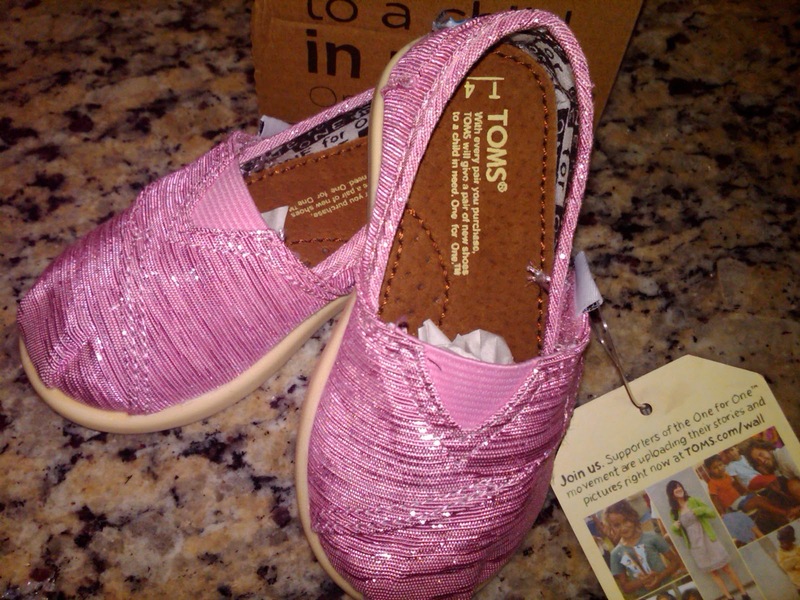 BABY GLITTER TOM'S! IN MY FAVORITE COLOR! Seriously. I die. And the pictures can't even do them justice. If you have never heard of Toms, you should check them out - I am a big fan of their one for one program. For every pair of shoes or eye wear purchased, they donate a pair to a child in need. Pretty nifty, right? There is a hilarious story behind said Toms that I will have to tell you another time - it's kind of long-winded. Maybe tomorrow? 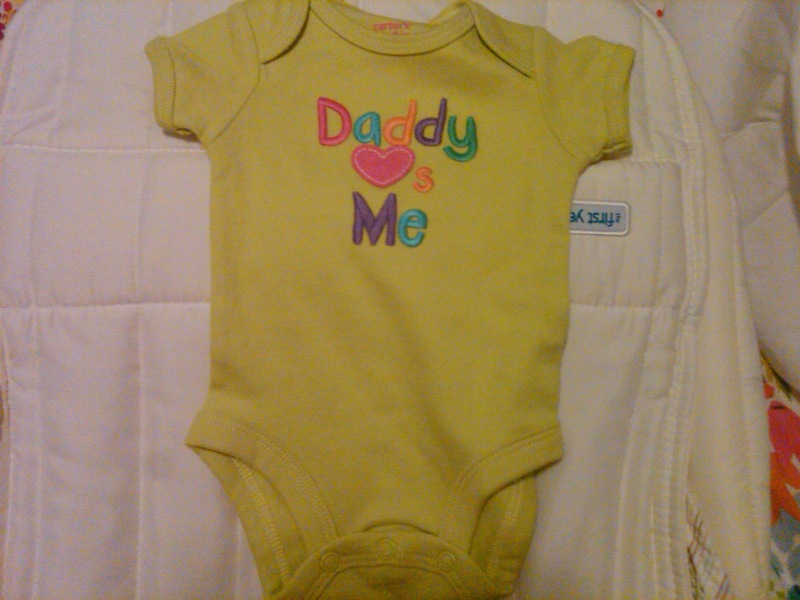 Auntie Leah, thank you SO MUCH for the adorable gift. 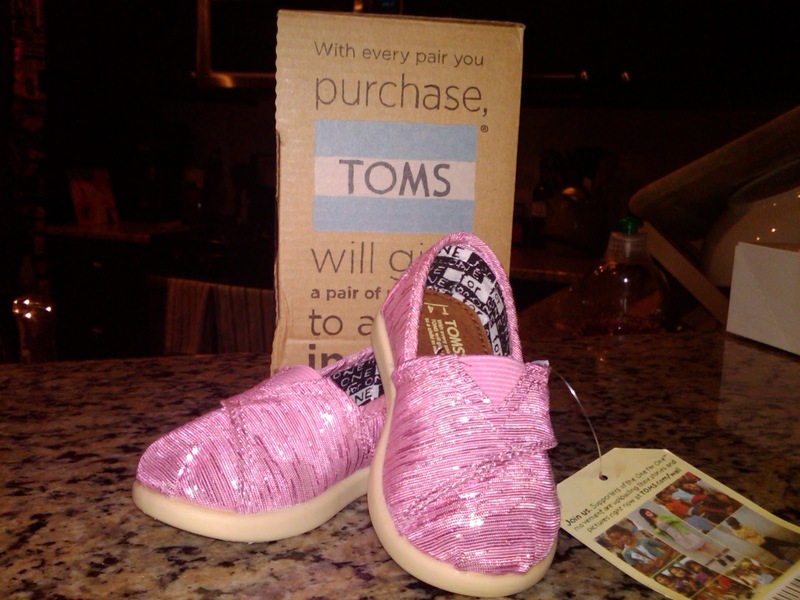 We LOVE it, and Geronimina told me she can't wait to rock them to match Mommy's pink glitters! Cute, ain't she? As well as smart, hilarious, and very well-behaved. Love all of you girls, let's PLEASE do it again soon! 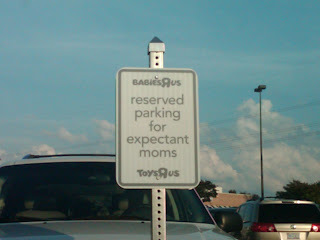 It's the little things, I guess. Off to bed for me, still trying to sleep off this sickness!